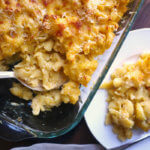 Your kids will enjoy this macaroni cheese with cauliflower dish and so will you! The cauliflower is pureed into the sauce so they won't even taste it but they will be getting those important nutrients. If you haven't got a hand blender, you can puree the sauce in a food processor. Make this ahead if you want. When you've combined the sauce and pasta don't add the rest of the cheese on top. Instead, let it cool and freeze in a covered container for up to two months. Then thaw, sprinkle on the cheese and bake until golden and piping hot. Serve this macaroni cheese with cauliflower with your choice of chicken or fish. It makes a nice side dish but actually it's also nice as it is, as a comfort food. And it is very much a kid-friendly meal. Most kids love pasta and also love cheese. And as for the cauliflower? They won't even taste it! The ingredients for macaroni cheese with cauliflower are easy to find. Perhaps you already have some or all of them. 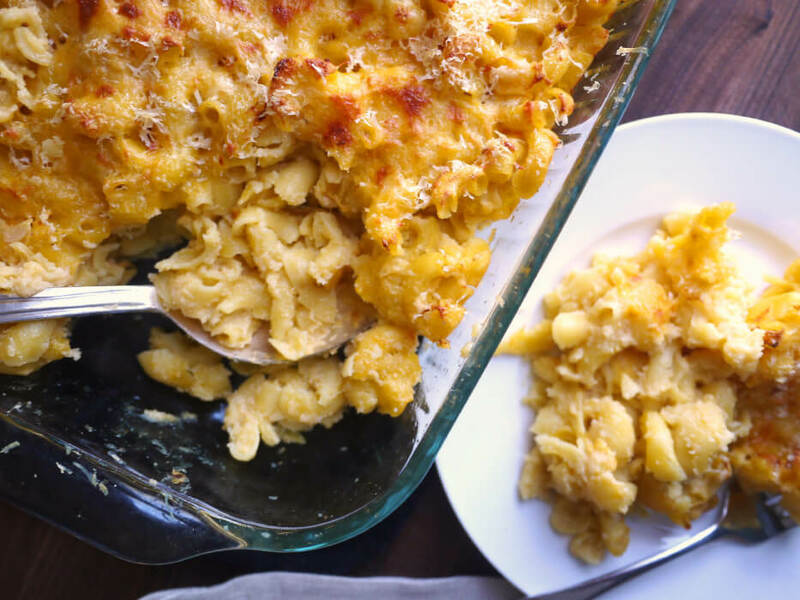 Apart from the macaroni, cauliflower and cheese, you need butter or oil for greasing the baking dish, flour and milk. 1. Preheat the oven to 200 degrees C and grease a 2-litre ovenproof dish. 2. Boil the cauliflower in water in a pot for 10 minutes or until tender. 4. Put more water in the pot and cook the macaroni for 10 minutes or until tender. 5. Melt the butter in a pan over a low heat then whisk in the flour to get a smooth paste. 6. Cook for half a minute, whisking all the time. 7. Whisk in the milk, a bit at a time, and bring the mixture to a slow simmer. 8. Let it thicken between each addition. 9. Keep cooking and stirring until you have added all the milk and the sauce is nice and thick. 10. This will take about 7 minutes. 11. Stir in 100g of the cheese and grind in some salt and pepper. 12. Now add the cauliflower to the sauce and blend using a hand blender. 14. You might need to add more milk and/or salt and pepper. 15. Drain the pasta and put it in the greased dish, then pour over the sauce. 17. Sprinkle the rest of the cheese on top and bake for 20 minutes or until golden brown and bubbling hot.